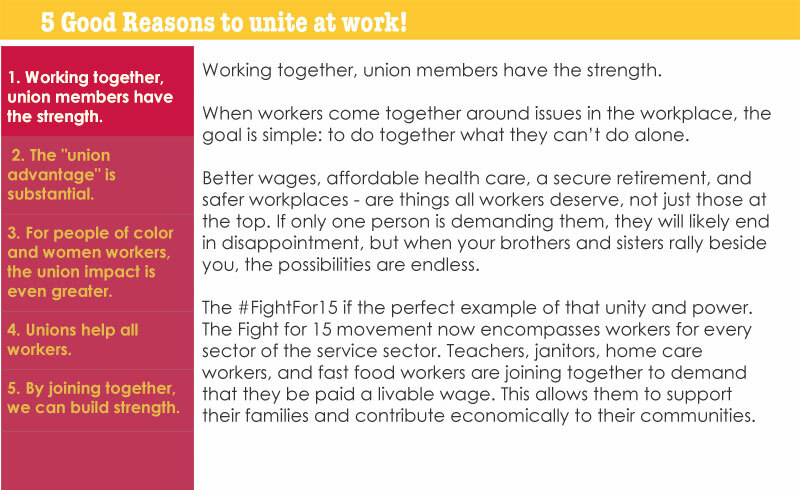 GroceryWorkers.net - What is a Union? 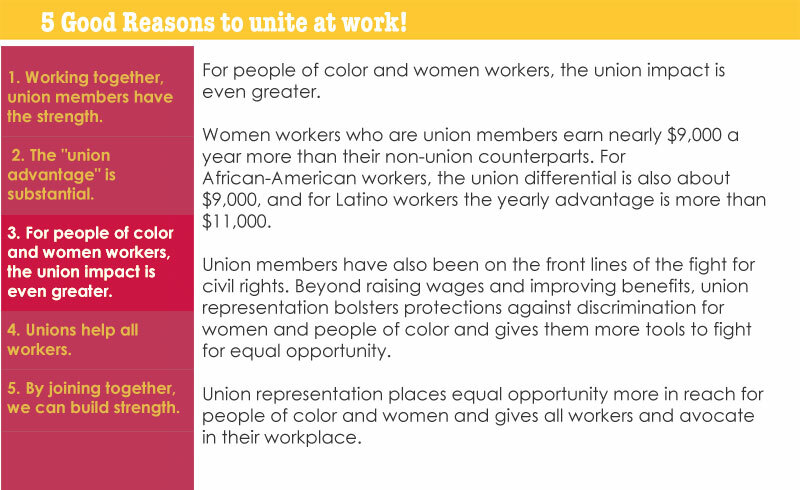 A Union is a group of workers who join together to achieve better wages, better benefits, respect on the job, and a stronger voice in workplace decisions. With the help of a Union, workers negotiate a contract with their employer to ensure these things. Without a Union, employers have 100% control over its employees and complete authority to make all decisions. Through Unions, employees can take some of this control to make their workplace better. 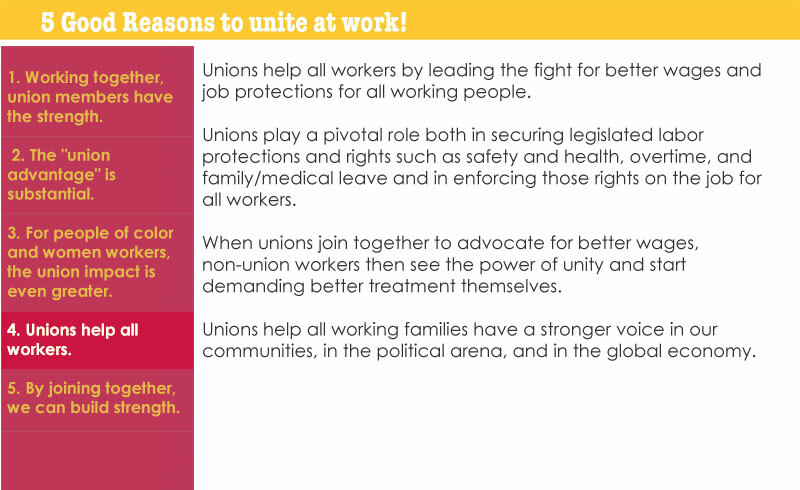 A Union’s major goal is to give workers a voice on the job for respect, safety, security, better pay and benefits, and other improvements to working conditions. Unions are making a difference. With most of the economic benefits of our economy going to corporate America, working people are using the power of collective action to get their fair share. Just think of what you and your co-workers may be able to win if you had a Union contract.